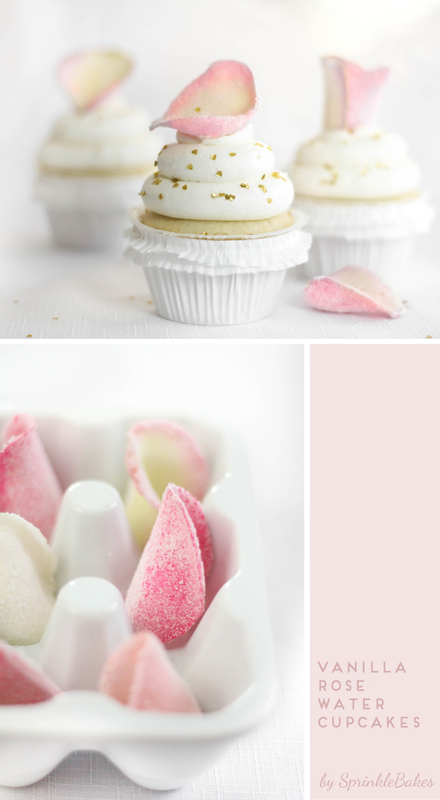 I stumbled upon these adorable Vanilla Rose Water Cupcakes by SprinkleBakes for The Modcloth Blog and although they could have been a cliché of girly glittery pinky things, they left me in a good, dreamy mood. I usually don't like the taste of rose water or rose petals (even though I absolutely love the smell), and yet I want a bite of these fairytalish cupcakes. Wouldn't they make a perfect Valentine's day dessert? - 20 DIYs with leather. - A great infographic on digital marketing. - Dotted jeans! Striped skirt! Dotted shirt! Striped dress! - Loving this free font (pay it with a tweet or Facebook post). - Is it too early to think about Summer sandals? - 4 great tutorials for photographing product. - How to apply the perfect winged eyeliner every time. They look like the perfect thing for a fairy tea party... which I happen to love! You always have some of the most perfect links. Thanks for the link to my 20 DIYS. Checking out your other links now.